The Strv 74 is a Swedish tier 6 medium tank. In the early 1950s, the Centurion medium tank entered service in the Swedish army, yet a lighter and more maneuverable vehicle was required. It was decided to modernize the old Strv m/42 vehicles by equipping them with a new turret and armament. The tank received a new name, Strv 74. 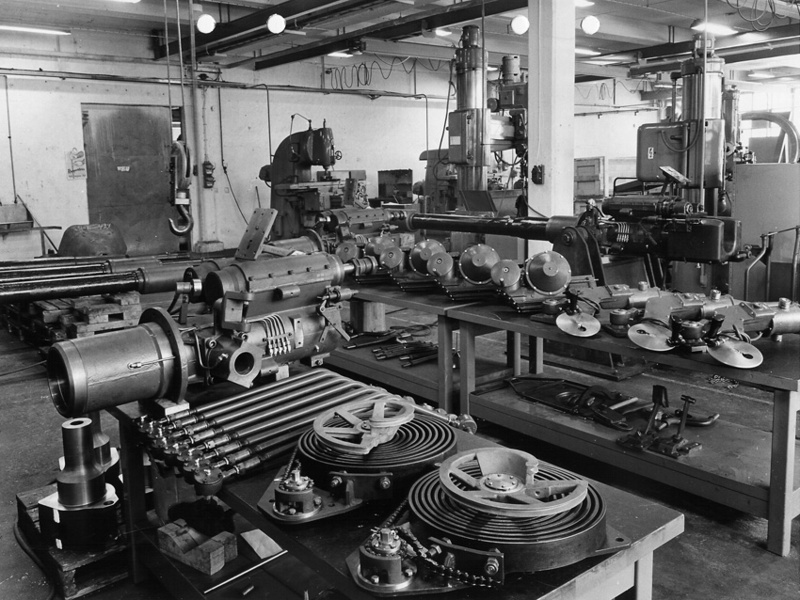 A total of 225 vehicles were manufactured from 1957 through 1960. The Swedish army continued to use the vehicle until the end of 1984. The Strv 74 leads to the Leo. Easy stock grind: competitive right out of the gate. Choose your position carefully and use your depression to help hide when you shoot; your high shell velocity and fantastic aimtime and gun dispersion will let you pick your target and shoot easily. Don't be afraid to wolf-pack with other mediums when they charge though, because your good maneuverability will let you do so too. Keep in mind, that, although your narrow profile will let you maneuver effectively in tight spaces, it also means that the tank is somewhat top-heavy and may tip over. The main thing you will have to be careful of, is your lack of ammo, you can carry very few ammo with you so make every shot count. The 70W Sv m/43 radio is the only equipment that carries over from the Strv m/42 and can be mounted right away. Doing so though will limit the equipment you can place on the tank such as gun rammer and vents. It is suggested you equip this radio last. Research the top gun first as it can be mounted without upgrading tracks. Research the tracks next as you cannot mount the top turret without them. First entering the service in 1957, the Strv 74 was part of the Swedish attempt to modernize its armored force in the early-mid 50′s. 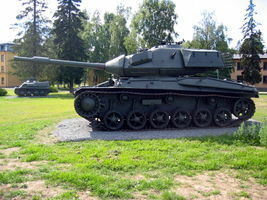 The vehicle was a modification of the WW2 era Strv m/42 design, which had provided the main firepower of the Swedish armored forces between 1943 and 1953. The main difference between the m/42 and the Strv 74 was the use of a longer 75mm gun and the use of a bigger turret to house the new gun. The idea of rearming the Strv m/42 with a more powerful gun was kicked around from as early as 1944, when it ebcame clear that the short 75mm gun would no longer be a viable anti-tank weapon. The early attempts to improve the Strv m/42´s firepower were however unsuccessful and were cancelled in 1948. The original idea from 1944-48 was to use a new type of turret with the gun placed as close to the rear as possible and to have the gun equipped with a 3 round magazine, which would be fed by the loader. 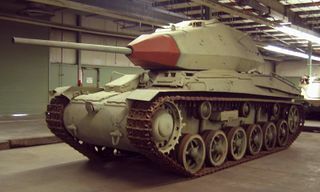 The design got as far as the prototype stage, but it was scrapped after the war with the project cancellation. In 1954, the idea of upgunning the Strv m/42 was brought up again – it became clear that the then-current tanks of the Swedish army with the exception of the recently purchased Centurion Mk.3 were hopelessly obsolete even against late WW2 designs, like the T-34-85. 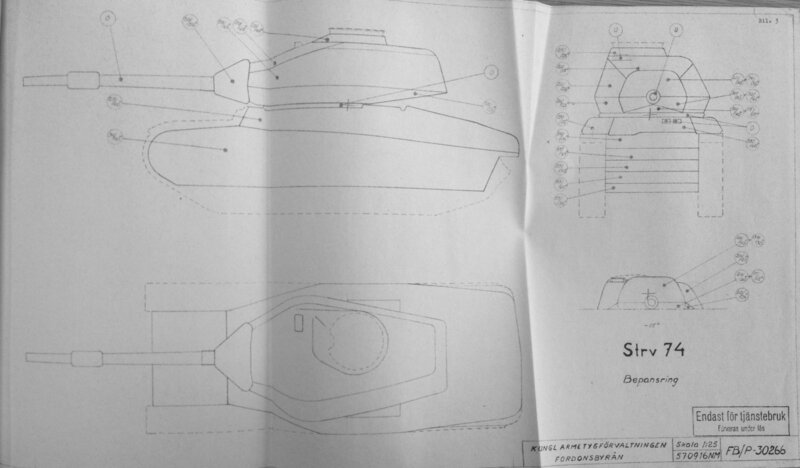 A research committee was formed to discuss how the Strv m/42 was to be improved and several options were proposed. 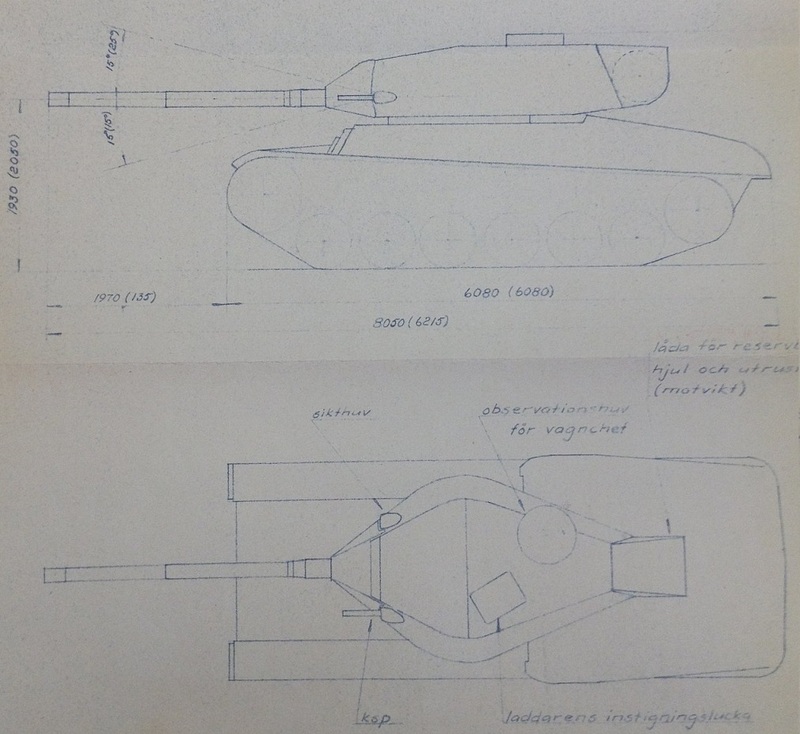 The first option was to replace the turret of the vehicle – this was referred to as Option A and was divided into three alternative turret designs. The 2nd of these options (Option B) was to simply rebuild the tank to its tank destroyer version (Pvkv m/43), 86 of which were already in service with the army. 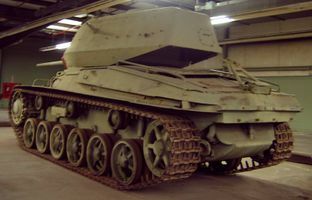 Of the proposed alternatives, the A.1 was preferred most, as it would allow the tank to keep its impressive 15dg of gun depression – it would also be the cheapest solution. However, this option would increase the weight of the vehicle the most and this, plus the massive turret, would mean that the armor would have to be reduced. Option A.2 was discussed but ultimately scrapped, since it was found that the turret ring of the AMX 13 was too big to fit the m/42. Theoretically, it would offer good firepower with only a slight increase in weight, but with a big loss in gun depression. The third and final variant, the A.3, was dismissed almost right off the bat, most likely due to the complexity and cost of the mechanical loading system. In all the cases, the tank was to be rearmed with the Lvkan m/36 75mm L/60 anti-aircraft gun. 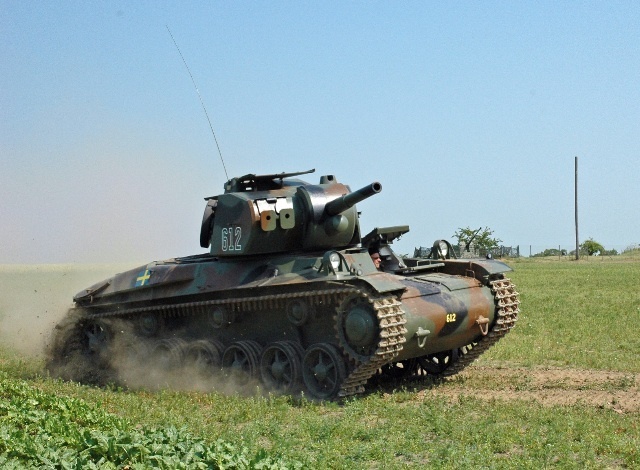 This gun was going out of service and was compatible with the 75mm armor-piercing ammunition already developed during and after World War 2 for existing anti-tank guns, so it was an ideal and cheap solution. As it became clear that alternative A.1 was the most viable, work began on rebuilding the Lvkan m/36 to make it fit the new turret. To achieve this, the barrel was cut down from L/60 to L/56,5 and a new recoil system was added. Although it was initially thought the weight increase wouldn’t be greater than 1,5 tons, it turned out that it would be closer to double of that number and the final design ended up with the weight of over 26 tons. It was however found as well that despite the increased weight (and in some cases) less powerful engine, the mobility was even better than the one of Strv m/42, thanks to wider tracks. The performance of the main gun was rated as roughly equal to that of the AMX 13´s, both when it came to regular AP and subcaliber APDS ammunition. The armor of the Strv 74 was actually thinner than that of the Strv m/42 it was based on. Not ruin the suspension or other components, the weight of the vehicle was a primary concern and due to this issue, the armor of the turret was very thin. Turret front had a huge gun mantlet, which was 20-30mm thick and covered 20mm of armor underneath, the turret sides and rear were only 20mm thick as well. The hull was barely changed, but an additional storage box was added to the front, over where the hull mounted machinegun was before and the hatches for the transmission were strengthened. The hull front was 55mm thick with sides 30mm and rear 20mm thick. 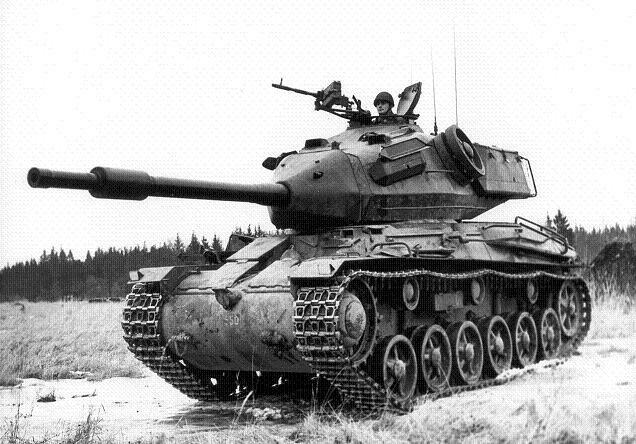 The majority of produced Strv m/42 tanks were converted to the Strv 74 standard between 1956 and 1958. 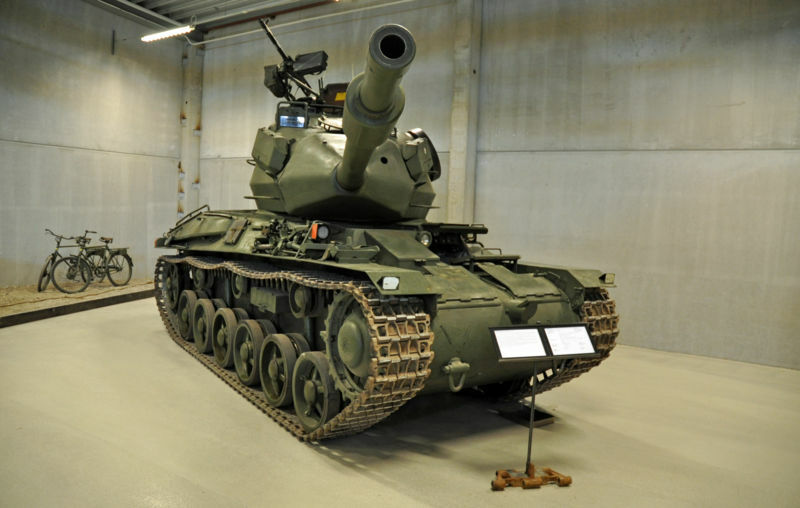 Initially, they were used in armored brigades to support the then relatively small number of Centurions in Swedish service, but as Sweden purchased more Centurions in 1956 and 1958, the Strv 74 was relegated more and more to reconnaissance and other secondary roles. In 1970′s, most were replaced by the IKV 91 tank destroyer and scrapped. However, a few survived and were used mainly for infantry support in the armored reserve. The last of these was removed from service in 1984, at which point the chassis was 41 years old. Today, a number of vehicles survive at various museums. Most are located in Sweden as you would guess, but one can also be found in the Russian Kubinka museum. 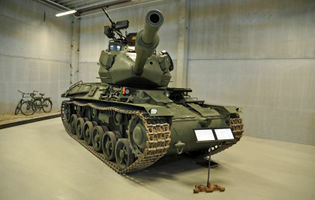 One Strv 74 has been restored to its previous m/42 version and can be seen in the Arsenalen armor museum in Sweden. Strv 74 at the military history museum in Boden. Strv 74 at the American Armored Foundation Museum in Danville, Virginia. Rear view of Strv 74 at the AAF Museum. This page was last modified on 3 September 2018, at 14:43.